What makes St Mary’s special? St Mary’s Church of England Primary School is a popular and inclusive three-form entry school in central Twickenham, deemed Oustanding by Ofsted. We are split over three sites with good local transport links. We promote a caring Christian ethos that is fully dedicated to developing every child. Our energetic and welcoming team enthuse and motivate pupils to strive for success. We deliver high quality lessons while successfully nurturing and inspiring pupils to reach their full potential. 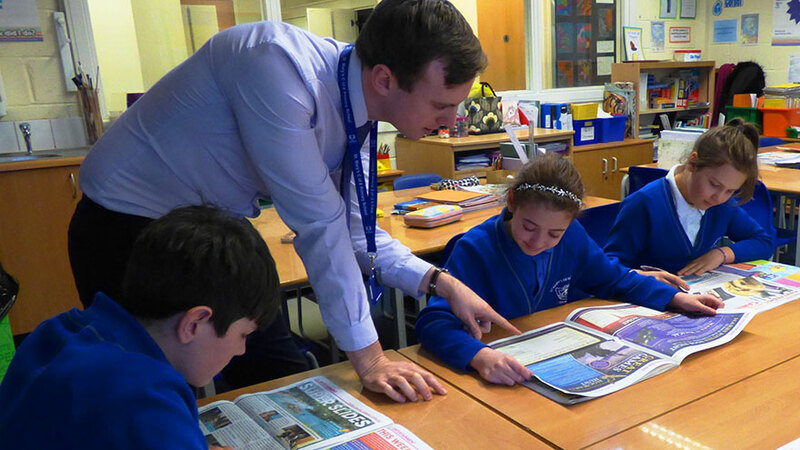 Our creative curriculum, themed around topics of learning, not only engages pupils and fosters a love of learning but also enthuses our teaching team to plan and deliver exciting and meanignful lessons. Behaviour is excellent with pupils demonstrating respect and good manners to adults and peers alike. We have access to excellent CPD opportunities to grow and develop through mentorship and coaching. Such is our size and structure, there are good prospects for both new and experienced practioners who want to progress into leadership roles. Importantly, we highly value both pupil and staff wellbeing; we know that to continue to be successful, we need a happy, healthy team. There are no vacancies at present. St Mary’s C of E Primary School is committed to safeguarding and promoting the welfare of children and young people. We expect all staff, volunteers and visitors to share this commitment. An enhanced DBS and satisfactory written references will be required for any appointment. Please contact Jane Tomlinson in the school office for any enquiries: info@st-marys.richmond.sch.uk. If you would like paper copies of any information posted on our website, please contact the school office.